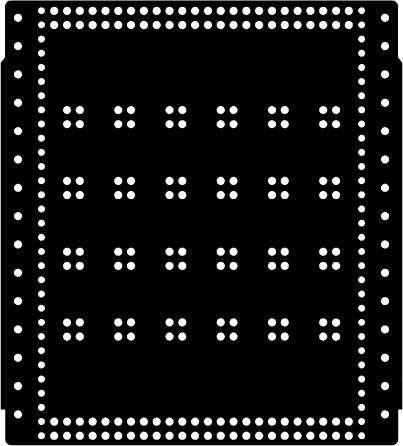 Techniques: The process starts with designing a pattern and creating a digital illustration file for the punch-card. The punch-card is then cut out of standard transparent overhead foil by using a silhouette Cameo electronic vinyl cutter. This punchcard is finally used on a Brother 860 punch-card operated knitting machine to create a the breadboard. 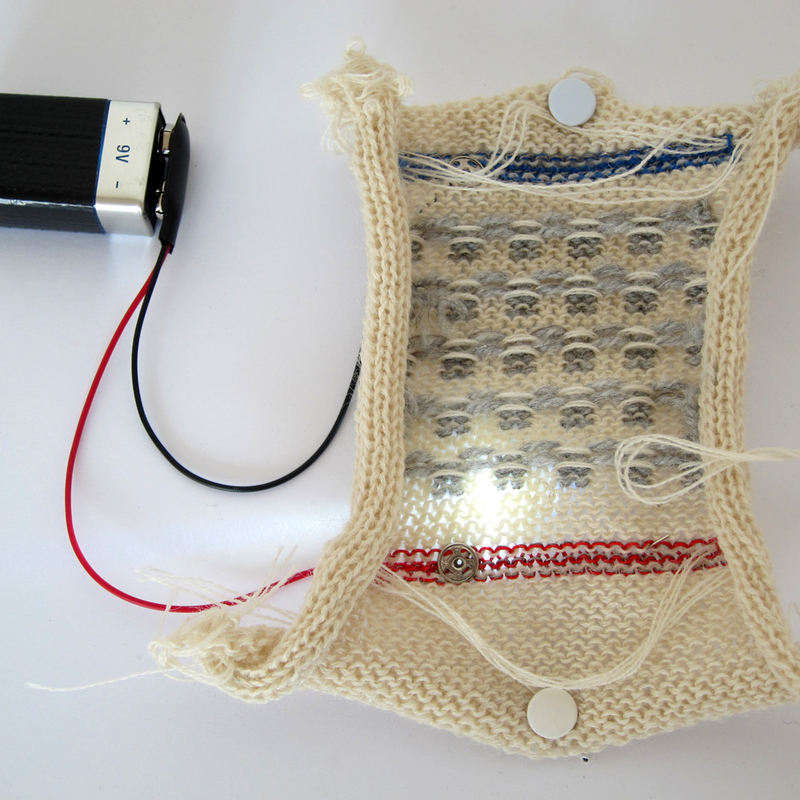 The Knitted Breadboard is part of our investigations to what extend punchcards can be used to knit electronics. 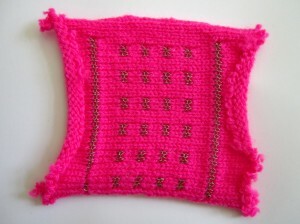 The Knitted Breadboard allows you to test soft circuits in knotting, sewing or sticking them into the knitted piece. It has a line for Power and Ground and connection points, in this case four rows and six columns. 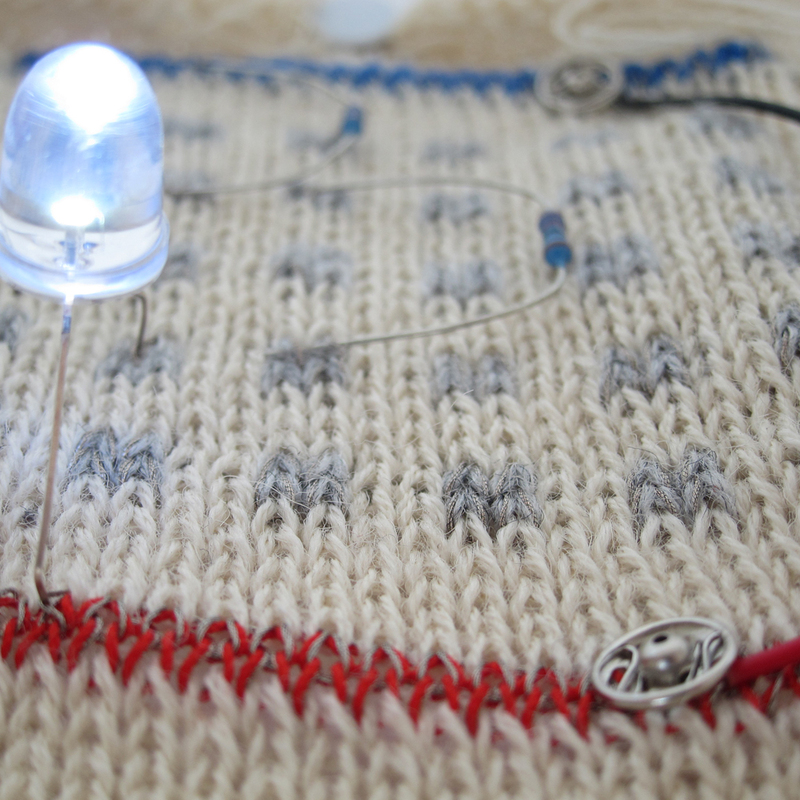 The punch-card describes the pattern for the breadboard, allowing you to make it yourself on a knitting machine and/or integrate it into your eTextile work. Punch-cards are knit repeatedly vertically and horizontally on the knitting machine, so the sizes of the breadboard can be individually defined: horizontally through a pattern cam that defines the area where the pattern is knitted, vertically in using or not using the punch-card.